This is my ninth growth report on OliverKenyon.com. I use these reports to share my progress updates from both a business and a personal point of view. You can view my previous reports here. The funny thing about writing these reports is the fact of how long things actually take when you’re in this whole “start up” way of business. It’s only when you look back – whereby for example I’ve been talking about some exciting investments coming in or getting started with Project P for months – that you realize some things always seem to take longer than planned. So March was another month of basically doing all the boring and nitty gritty stuff like chasing accountants, dealing with lawyers and solicitors, etc. in the hope of moving closer to our goals. With that being said, March has been the busiest month yet when it comes to the above, and I’m 99% sure in April’s report I’ll be telling you about some exciting new partners and giving you more details on “Project P”. Shareholders agreements are written up, deals have been done, and it’s just the signing of papers left, so fingers crossed this week! Everything we are doing is to work towards having the right team, partners and management structure in place to take these projects to the next level under one exciting tech hub if you will. We were able to finalise the UX/UI designs of “Project P” in March and also signed contracts to get the development started…tomorrow! I truly feel we’re all at the end of all this hard preparation work and we will very soon be doing what we love to do – building businesses and growing amazing platforms. So as you can see, I’ve been a busy boy this past month, and that’s just Lovecars and Project P, let alone everything else we have going on. So as you may have read above, we’re finalising our next investment round as we speak, which touch wood, should be done and dusted this week. My business partner has been working effortlessly for the past six months to a year to make this deal happen, so we’re all hoping it does and it allows us to take Lovecars to the next level. Speaking of the next level…. We’ve spent a lot of time together this month traveling to and from London to meet various partners, investors and friends of the company. Our next major focus is on building out our very first mobile application. We’ve met with several big firms who’ve built some of the best apps in the world and are narrowing down our choice of companies to work with this week. The application will allow our platform to launch on iOS and Android from day one and should become the biggest automotive app available pretty quickly. Watch this space! 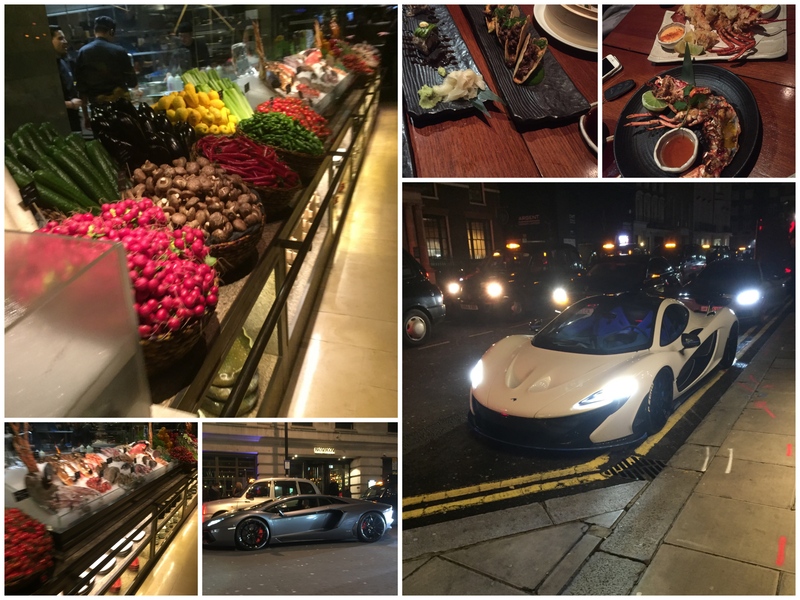 One highlight was when one of the company’s personal friends took us out for dinner to one of the finest restaurants in London. Never before have I seen a restaurant with its own food market in which you can wander around and handpick your dinner. As you can see from the pictures below, it was all packed with amazingly fresh produce and some of the freshest fish I’ve ever seen! I think it really hit home with the impact we’re having on the automotive industry. Lots more to follow we hope. SPAM, SPAM, and more SPAM! Unfortunately, XenForo – the forum software we use – had a real problem this month with new SPAM bots going under the radar and tricking our security measures that normally kill these bots before they’ve stepped foot on the forums. This resulted in AffiliateFix particularly getting several bots a day completely spamming the forums. Members obviously grew frustrated, but we’ve put some extra measures in place and hopefully gotten to grips with the spam attacks. Fingers crossed, this is now resolved. Some good news in March however was when our friend Christina, aka the FBQueen, joined us on AffiliateFix for our Ask the Expert Week. Ask the Expert Week is basically when we ask an industry expert to be present on the forum for an entire week answering any of your questions. Christina was determined to beat all the lads and become the busiest expert week on AffiliateFix yet. Well…..she did it! You can check out all her questions and answers here. 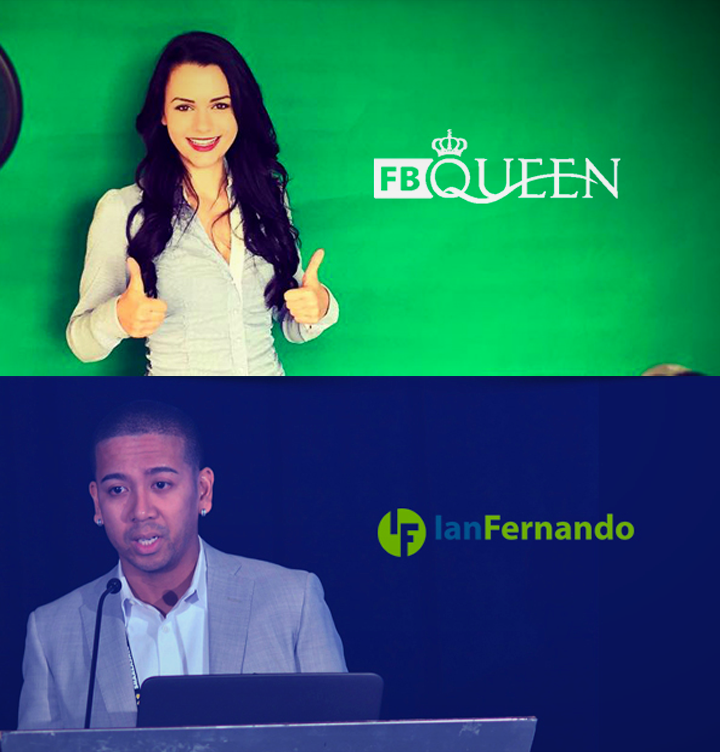 We also hosted an Expert Week on EntrepreneurFix this month where we saw my good friend Ian Fernando take on the boards. All week, entrepreneurs were busy asking him business-related questions and Ian even found the time to answer them by video on his blog. Thanks again to Ian and Christina! Speaking of Expert weeks, we’ve already lined up our next experts coming this month and I can confirm that PJ from The Secret Entourage will soon be answering your questions on EntrepreneurFix! In other FixForums news, we brought in another member of staff this past month to head up recruitment. He is on a trial period on a CPL basis and his job is to recruit affiliate marketing related companies not yet represented on the forums to the Fix. 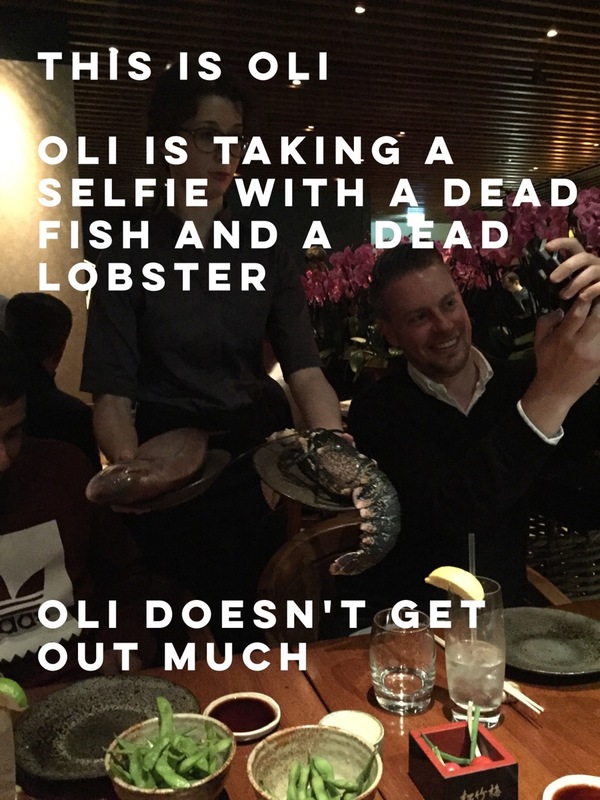 He’s had a good first few weeks, so I’m very optimistic. To those of you looking to generate leads for your companies, using a CPL model is 100% advised, as obviously you only pay out on leads that have converted. We finished our new company website this month; however, I’m not too keen on it anymore and think we’ll redo it this month! After a quiet few months, it seems like the industry has finally been woken back up with a very busy March, as well as April looking to be just the same! Vito Glazers Landing Page Guys Testimonials. Thanks to another one of our amazing clients Vito who just sent in this video review. 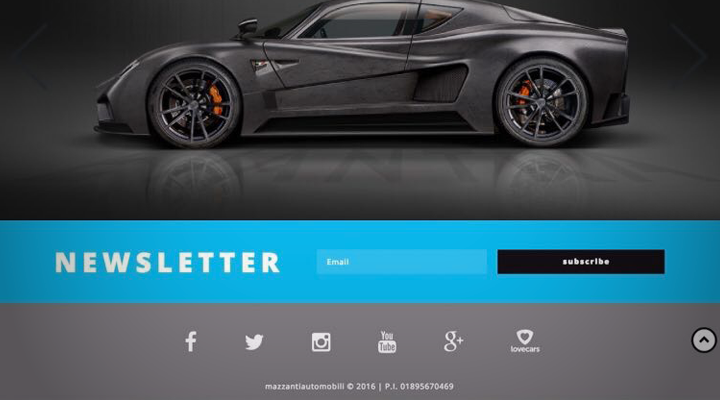 This is just one of many of our clients who generate millions of dollars in revenue via our landing pages. How Ronnie made half a million dollars. Thanks to our valued client Ronnie who just sent in this video review. It’s a real honour and proud moment when you hear well-respected industry people talk like they do above about a service you’ve tried incredibly hard to perfect, so thank you. We were able to take these videos and use them in some Facebook ad campaigns with some good results. We’ve yet to test Alison’s, but Vito and Ronnie’s both did very well for us. I’ll keep you posted in a separate post on how video ads perform for us on Facebook, but if you have any questions, please ask below. We’re also really excited to be working on a refreshed version of our website. The site has been live for about a year now, and although it still looks and performs great in my opinion, we have several new partnerships and offerings that we want to expand on with our new site. We’re still designing, but it should be live this month. Speaking of this month, we’re also excited to announce we’re partnering with the fantastic LimeLightCRM to build out several exclusive plugins that will help enhance their platform and the user experiences. Our first plugin should be ready within the next few months and should help bridge the limitations users encounter with WordPress stores and LimeLight. We also managed to design a great looking email that is being sent to LimeLight clients this month, so we expect April to be one of our busiest yet! If you received this growth report in an email, and you’ve gotten this far, it’s great to have you on board! Basically, this past month I managed to have all my email lists from my forums and other publications cleansed and scrubbed to leave me with one big list of my members and followers. As I explained in the first email intro I sent out a few weeks back, I wanted to get everyone involved in my blog as I felt I couldn’t have that one-on-one relationship on the forums. As I’ve stated from day one, I want to grow with you, not at your expense and therefore – as I have for nine months now – shared the good, bad and ugly on this blog! So in March, I loaded my email list into Aweber and sent everyone an email. In that email, I gave the entire list a VERY clear and easy way to unsubscribe if they didn’t want to be with me, and as expected, quite a few people took that option…which is perfectly fine. What I now hope I’m left with is a core of readers who want to help me, want me to help them, and find my content and entrepreneurial journey interesting. I also managed to write what proved to be my most popular post ever here. The post was about how the Lovecars team has managed to grow our fan page and other pages to over one million followers. I’m really happy the post was well received and was shared over 200 times on social media. It’s also great to get emails and inbox messages thanking me for the content and telling me it’s helped lots of people grow their pages organically. It makes it worthwhile and encourages me to write more! Every year for Christmas, I buy Josie a long weekend getaway at our favourite hotel: The Mill End. The hotel is our favourite because it’s small, boutiquey, and allows dogs. Therefore, Josie, Den and I can all enjoy a relaxing weekend in one of their amazing suites in the small town of Chagford. The other great thing about the hotel and why we’ve now been back 4 years in a row is the beautiful scenery and country walks that are right on the doorstep. We enjoy nothing better than walking several miles along the river into the small little town and going on a pub crawl with the dog. 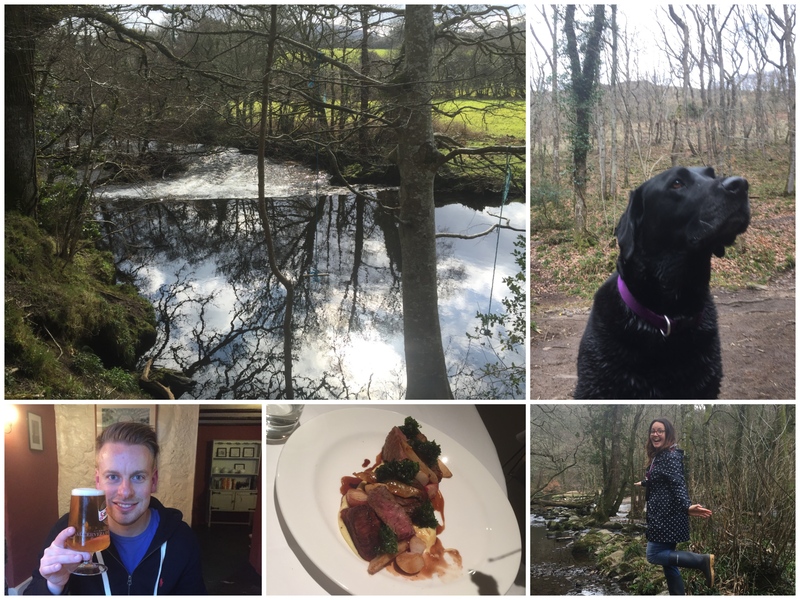 At the beginning of March, we enjoyed 3 nights at the Mill End and weren’t disappointed. We’ll be back very soon! Aside from this, March was also very busy with friends and family. 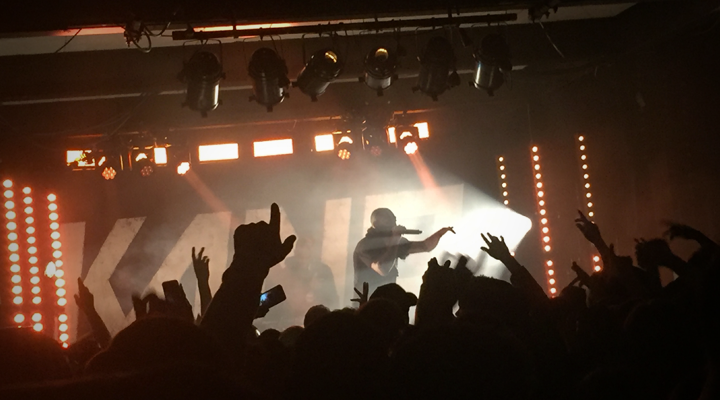 My mate Nick and I were lucky enough to be bought tickets to see Kano play in Bristol. For those of you who don’t know who Kano is, check him out on YouTube. He was literally incredible live! The nights out didn’t stop there though, as 10 of us including Andy and one of our members of staff at Lovecars took a train into Bath for a pub crawl this bank holiday just gone. I seriously love Bath and if you ever get the opportunity to go, do it. The buildings are amazing and it has some of the coolest little bars and pubs in the country. Away from nights out and getaways, I focused heavily on my fitness with my personal trainer Tom. However, this month’s routine was affected due to being away travelling for business on several occasions. I hope April is a little more structured so I can continue with pushing forward in fitness. I won’t be playing much football that’s for sure, with Liverpool playing on a Thursday night when I normally play. Liverpool comes before most things in my life as you may know! Do we have a house yet? More to follow in April!